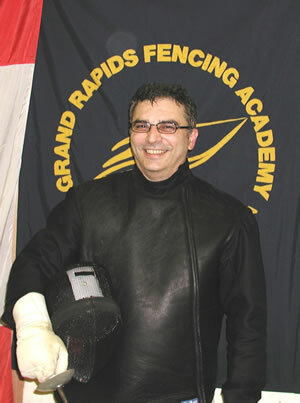 Mikhail Sarkisov, co-founder and co-head coach of Grand Rapids Fencing Academy, was chosen as “2004 Developmental Coach of the Year” by the United States Fencing Association. An internationally-successful fencer from the former Soviet Union, Maestro Mikhail was a member of the Soviet National Fencing Team. In 1984, he graduated with a B.S. in Physical Education and a Major in Teacher of Physical Education and Coaching from the Azerbaijan State Institute of Physical Culture and Sport Academy. In 1980, Mikhail earned his Master (Maestro) Degree in Fencing. 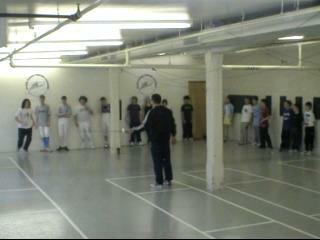 He has been coaching fencing students and instructors alike in West Michigan since 1993. Mikhail also graduated from Aquinas college in Management of Computer Information Systems and works full time as Information Security Specialist at Amway.